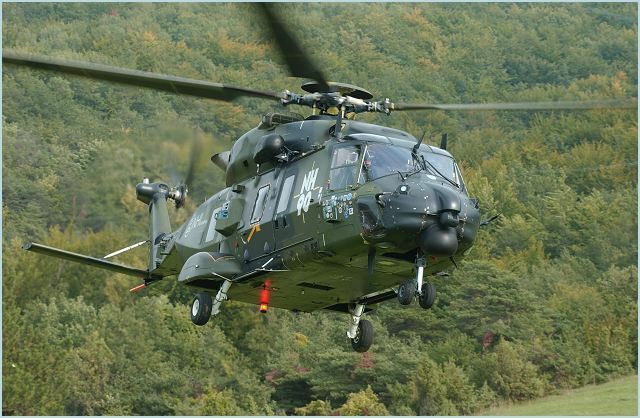 Eurocopter delivers today the first NH90 TTH helicopter in its final configuration to the French Army. 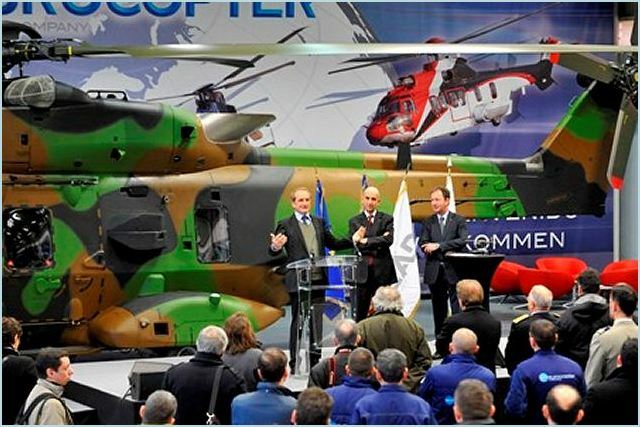 During a visit by the French Defense Minister Gérard Longuet to its facilities in Marignane, Eurocopter officially delivered the first NH90 Tactical Transport Helicopter (TTH) qualified in its final operational configuration to the French armament procurement agency today. This initial on-time delivery comes on the heels of the qualification issued by the NAHEMA countries last November for the French NH90 TTH in its final operational configuration. The helicopter delivered today to the DGA will be handed over to the French Army Air Corps (ALAT), which will be using it for the tactical transport missions it was specifically designed to perform. France has ordered a total of 34 NH90 TTH helicopters, with an additional 34 on option, to progressively replace the Pumas currently in service for the ALAT. The next-generation NH90 TTH has been designed to perform a wide range of missions - even the most demanding, such as utility transportation and logistics, combat search and rescue (RESCO), medical evacuations, special forces operations and anti-terrorism. In its final operational configuration, the NH90 is equipped with field-tested avionics that enable the helicopter to carry out its missions both day and night with no major restrictions. It also has high-performance self-protection equipment, an interoperable military communication system for international operations, and equipment for ship-based deployment.